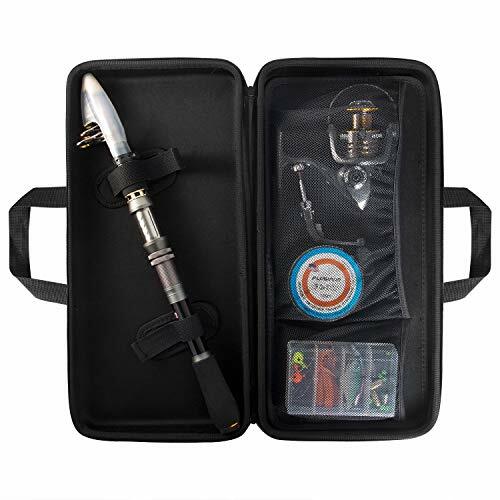 🎣 Warm Prompt: Full Kit with Carrier Case include 1 FISHING ROD + 1 FISHING REEL + FISHING LINE + VARIOUS FISHING LURES + FISHING HOOKS + SOME NECESSARY ACCESSORIES + CARRIER BAG. 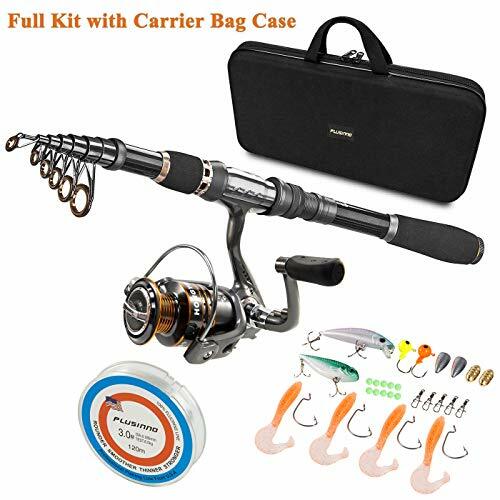 🎣 Full Kit with Carrier Case is special made for novice, including necessary accessories for fishing. You can use it without buying any other accessories from anywhere. 🎣 Perfect elasticity, high density Carbon fiber mixed with fiberglass make your fishing pole hard & durable. 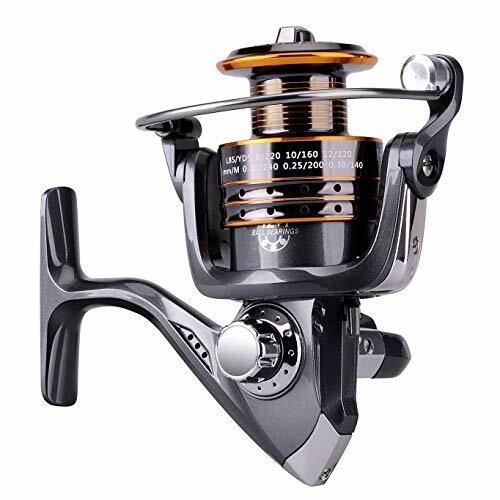 Stainless Steel Hooded Reel Seats is anti-seawater corrosion; EVA Fore Grip for comfort. 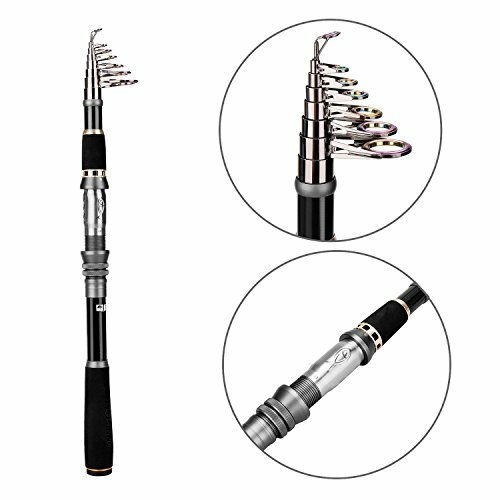 The telescopic fishing rod is portable, and closed length design is convenient carrying around. Power: Medium; Extended Handle. 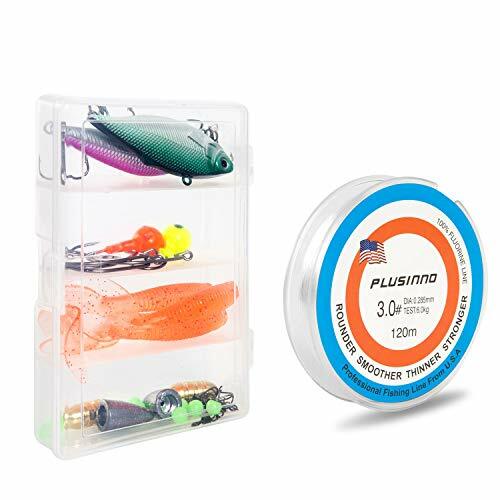 🎣 Instant anti-reverse; Power drive gear equipped for high strength. Deep aluminium spool with double color and one line holes; More short body with large spool and large line capacity. Line capacity: mm/M 0.20/240 0.25/200 0.30/140. Model: EW3000,HA3000; Gear ratio: 5.2:1. 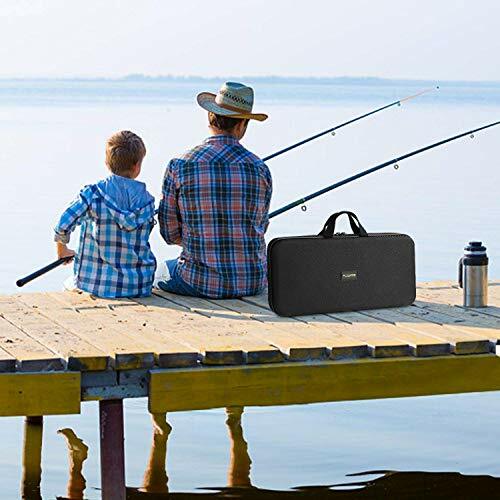 🎣 It's the best gift to send father, son, husband, fiancé, boyfriend. We love our customers and 12 months warranty provided. If any problem, please contact us firstly and our customer service will solve it for you soon. 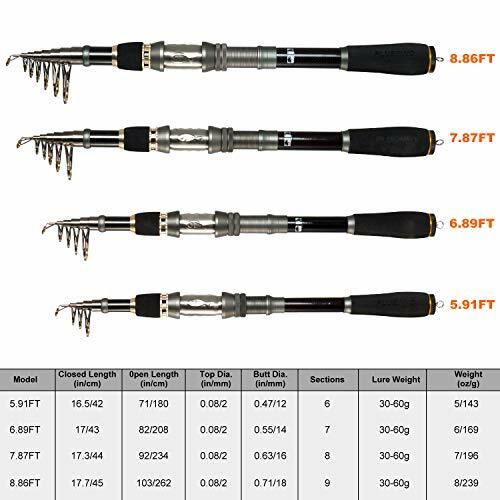 Want to buy single rod or single reel? Please search the ASIN: B01MQ1MRIA or B00YGZ1FRW.